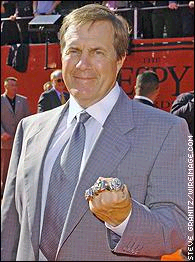 Now that I have your attention let me take the time to dispel any momentum in this whole 3 Super Bowl ring nonsense. I am not about to run through the directory of quarterbacks that are better than Big Ben of all time, rather just today in the NFL. Here is the relatively short list in my opinion. Peyton Manning, Drew Brees, Aaron Rodgers, Phillip Rivers, and who the hell am I forgetting? Tom Brady, you may have heard of him. People, stop with the comparisons of rings! It’s absolute nonsense. To go off of Super Bowl rings and that achievement alone, is the equivalent of not watching your favorite team every week, and just reading the box scores! Think about it. Those three alone should tell you how you can’t possibly evaluate talent based on super bowl rings. Arguably the best at their given position depending on your opinion/homerism/man crush (hey Dan). This article is in no way trying to bash Roethlisberger. I am a huge fan of his, maybe not as much as the midwest college scene is, but a fan nonetheless. I think he is very good at what he does; extends plays, keeps his eyes downfield, scrambles and runs when he needs to. I just don’t think he is elite. There are two, possibly three elite quarterbacks in this league right now. Rodgers current playoff run is very impressive and he has all the tools to be an elite NFL quarterback. I think that Ben is a very good quarterback, nothing more, nothing less. Roethlisberger had a great defense his whole career and that defense has helped him to a 10-2 playoff record. Extremely impressive. He makes big plays when it counts and isn’t afraid to take shots in big games. However, you can’t look at what he’s done from a box score perspective and say that he is even close to Tom Brady. Tom is just more talented, bottom line. As much as I hate to agree with Callahan from WEEI,he said something that resonated with me this morning. When comparing quarterbacks the easiest assessment can be done with the eyeball test. Very true, and in this specific case it fits perfectly. Both QB’s are playing in the same era at the same time. They’ve played against each other. If you took someone who has never watched a game of football in their life (Joe Buck maybe) sat them down and made them watch film there is no question they would say Brady. I’ve spent too many words on this already, and I am aware that most educated sports fans know this. I just needed to get this off my chest because the Super Bowl Ring and box score perspective is something that I am personally sick of. I get that goal in the game of football is to win the Championship. However, in the ultimate team sport you cannot place that much weight on an achievement when evaluating talent. Are you going to watch the Super Bowl, or read the newspaper on February 7th? I know everyone and their cousin is saying that the Patriots are going to stomp on the Jets today and a big part of me feels that way as well. However, I’m nervous as hell. Everyone thought that the Pats were going to smack around the Giants in the Super Bowl a few years back…we all painfully know the result of that. The only thing keeping me sane the last few days is that I’m 99.9% certain that Bill Belichick would NEVER let his team get into the hype of being such a heavy favorite. I think it would be even more true now that they have such a major core of young impact players. Is this going to be another 45-3 drubbing? Not even close. However, I wouldn’t hate that because I did take the Patriots (-10) and the over (45). I do see this being a little bit closer but the Pats offense need to continue to hold onto the ball and avoid any and all turnovers. The Moss-less New England Patriots are built on ball control and that trend needs to continue. As long as this young defense minimizes their mistakes and forces Mark Sanchez to make his own miscues this game will turn out just fine. The defense, as it has been all year, will be the ultimate wild card. According to various reports, the Minnesota Vikings have waived Randy Moss one day after his return to Foxboro to play the Patriots. After the game Randy delivered a press conference for the ages in which he unequivocally stated his love for the New England organization. Rumor is the Vikings weren’t happy with his press conference and they weren’t happy that he didn’t fly home with the team and instead stayed in Boston to be with his family. Some have said that because Moss wasn’t officially on the waiver report today, that the Vikings may have reconsidered but Moss said he doesn’t want to be apart of that locker room so long as Brad Childress is in the locker room. Many in the New England area, (who were so quick to bash Moss after he left) are already yelling for him to come back. We know Randy would love to come back “home” but does the Kraft family or Coach Belichick want him back? Moss would have to clear waivers of every team in the league even before the Patriots make their decision to claim him. It is not often that a Hall of Fame caliber player is just there for the taking. Moss is a game changer. If he isn’t lighting up the stat sheet, he at least forces defenses to shift their focus solely on him. In New England he freed up Wes Welker to do the damage he caused. Since Moss left Welker has been a non factor. Once Moss arrived in Minnesota, Percy Harvin was the beneficiary. Harvin lit up opposing teams because all the focus was on covering Moss. Moss still has tremendous value on the field. But he has shown his true colors this season, in being outspoken about getting a long term contract to his liking. No team has stepped up and offered him that and for some reason he is feeling as if his employment is insecure. Here is a look at the 32 teams and whether they will give Randy a chance. Teams in bold are teams that I feel actually have an interest in Moss. Buffalo- They are 0-7 and playing for draft picks. No point in them taking the salary on as a 9 week rental. Dallas– I’d venture to say the Cowboys would give Moss a look to make up for not drafting him years ago. But they already have plenty of depth at wideout in Miles Austin, Roy Williams, and Dez Bryant. I wouldn’t put anything past Jerry Jones. Cincinnati- They already have two head cases at wide out that have caused Carson Palmer enough grief. They don’t need a third. Cleveland- The Browns aren’t going anywhere this season and theres no need to bring in more salary. Denver- The Broncos passing attack isn’t the problem. They need a running game. Minnesota- They had enough of him after three weeks and caused this post happen. Detroit- As much as I would love to see Randy and Megatron on the same team, it’s not going to happen. San Francisco– The NFC West is the worst in football and is still up for grabs. San Fran needs another wideout opposite Crabtree to compliment Gore and Vernon Davis. San Diego- Phillip Rivers is dying for someone to throw to other than Antonio Gates. Yes Vincent Jackson is coming back but who knows what kind of shape he will be in? Arizona- The Cardinals don’t have anyone that can get the ball to Larry Fitzgerald so what’s the point in bringing in Moss? Miami- The Dolphins have a strong receiving corps in Marshall, Hartline, and Davone Bess. Marshall has already complained about not getting the ball enough. This wouldn’t be a good fit. Indianapolis- They have been hurt by the injury bug losing Clark, Collie, and Garcon. Giving Peyton Manning Randy Moss opposite Reggie Wayne would be devastating to the rest of the AFC. Houston- The Texans problems aren’t on the offensive side of the ball. No need for Moss here. Jacksonville– The Jaguars need a top receiver. Mike Sims-Walker is not going to cut it if the Jaguars want to make a run at a wide open division title. Oakland– Will Al Davis want to bring back Moss? The Raiders are in the conversation for a division title. We know Al Davis loves big names. Philadelphia- The Eagles have a strong receiving corps with Desean Jackson and Jeremy Maclin. Washington– Donovan McNabb desperately needs someone to compliment Santana Moss. Santana is more of a possession receiver and would greatly benefit from Randy’s presence. Daniel Snyder would be more than happy to fork over any amount of money to anyone. Chicago– I’m more than positive Mike Martz is salivating at the present time praying upon prayer that Moss falls into the lap of the Chicago Bears. With his system, Johnny Knox, Devin Hester, and Earl Bennett don’t cut it for QB Jay Cutler. Seattle- I don’t think I can name 5 guys on this roster. But they already did part ways with Deon Branch with the theory being they had depth at the position already. St Louis– Rookie Sam Bradford lost his number one receiver Donnie Avery in the preseason, then lost his number one during the season in Mark Clayton. Now his number one is Danny Amendola. Yeah, the Rams could use Moss. 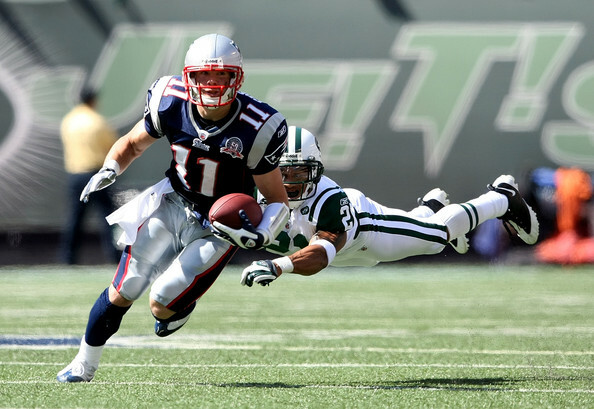 New York Jets– The Jets would do anything to stick it to the Pats especially after the Pats swooped in and claimed Danny Woodhead. They don’t necessarily need him but they will take him just to mess with New England. Baltimore- The Ravens are doing just fine right now. Boldin is a beast, Rice is coming back into form, and the defense is stellar. Pittsburgh– The Steelers would be an interesting landing spot for Randy. Mike Wallace has been ok opposite Hines Ward but Moss would make Pittsburgh very dangerous. Tennessee– Kenny Britt went down with a hamstring injury a week after exploding onto the scene with 3 touchdowns and over 200 yards receiving. The Titans have never had a big name receiver and may be intrigued by Moss. Kansas City- The Old Patriot regime would surely like to bring in Moss opposite Dwayne Bowe to give Matt Cassell another weapon. New York Giants- The Giants have no need for another receiver as they already have Nicks, Smith, and Manningham. Green Bay- While the Packers are walking wounded, their receiving corps hasn’t been hit by the injury bug yet. Atlanta– The Falcons may give Moss a look to alleviate some of the pressure on Roddy White. White is targeted the most week in and week out. Imagine the stress Moss would induce upon defensive coordinators opposite Roddy? Tampa Bay- Normally, I’d suggest Randy Moss to the surprising Bucs. But I feel Raheim Morris and company are confident they can get to the playoffs with their team as is. New Orleans- Drew Brees can make anyone good and receiving isn’t the problem in The Big Easy. They need their backfield to get healthy. New England-I don’t see Moss passing all the aforementioned teams in the waiver process. No shot in hell. But if for some reason he does I do think Belichick would take Moss back with the understanding that there is no contract extension. I do think that the Pats don’t need him back. In fact I have long said that the Pats are a better team without him. And they have backed me up on that going 3-0 without him. To be honest however, I would like to see Randy back in Foxboro just because I’m a sucker for the drama of it all. -Speaking of game plan, how can you create a game plan for a guy like Adrian Pe terson. Peterson is a one of a kind, once in a generation type of back. His combination of speed, strength, desire, determination, and just downright pissed-offness (yup, made that one up) is unlike anything that the Patriots have or will see. Peterson runs harder than any back that I have ever watched play the game. The key with him is that every year he seems to be amongst the league leaders in yards after contact. It takes two, three, and sometimes four defenders to take Peterson down. Tackling will be huge in this game, and I look for Jerod Mayo to lead the charge in attempting to contain Adrian Peterson. What to look for: How the Patriots’ defense performs against one of the best running backs in the league. -Last week the Patriots passing offense did not perform up to its usual standards. I am completely aware that even soon to be Hall of Fame quarterback is allowed to have a bad week once and a great while, but if you put two performances together like that back-to-back, then I begin to worry. I stand by my notion that this offense seriously lacks a deep threat (with both of the longest passes in each game going to Hernandez, where the yardage was attributed mainly to yards after the catch). Brandon Tate hasn’t done anything since Moss left. 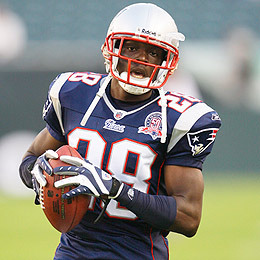 Deion Branch has been a pleasant surprise, but his production has led to a serious decline in Welker’s impact. No one seems to be able to get behind the defense (Taylor Price earned co-practice player of the week honors this past week, maybe signaling some upcoming playing time for the young speedster out of Ohio), which after a couple of weeks of film, and safeties creeping closer to the line of scrimmage, will hurt this Patriots’ offense. What to look for: How the offense continues to evolve, now four weeks (and three games) after the departure of Randy Moss. -Speaking of practice player of the week awards, Price received the honors along with practice squad corner Tony Carter and the ever-elusive corner Darius Butler. Butler’s role in the defense has basically dwindled to nothing ever since his disappointing performance in week 1 against the Cincinnati Bengals. Butler’s playing time has essentially been limited to dime or quarters packages (6 or 7 defensive backs on the field). This has been a major disappointment, especially for me because I really thought that Butler was primed to have a big season. Receiving recognition for his work in practice may be the first step towards getting back on the field and having a real impact on this defense. What to look for: How much playing time Darius Butler gets after a great week in practice, and against a talented Minnesota receiving corps. -I wouldn’t be happy with myself as a source of information and wisdom if I didn’t at least touch on the Brett Favre situation in this post. We all have heard it a thousand times, Favre is an iron man. He plays through injuries that other guys would be out weeks with. Yes, 291 straight starts is very, very impressive. I’ve got it. Sadly, Mr. Favre, you playing this week against the New England Patriots is NOT in the best interest of your team. In 2007, Tavaris Jackson started 12 games (essentially his one season as a starter). Jackson threw for almost 2,000 yards (with a 58.2% completion percentage), with 9 touchdowns and 12 interceptions. He also rushed for 260 yards and 3 touchdowns. Jackson compiled a passer rating of 70.8. In 2010, Brett Favre, through 6 games, has thrown for almost 1,200 yards (with a 58.1% completion percentage), with 7 touchdowns and 10 interceptions. Favre has compiled a passer rating of 68.0. After looking over those stats, let me restate what I said earlier: Sadly, Mr. Favre, you playing this week against the New England Patriots is NOT in the best interest of your team. What to look for: How the whole Brett Favre/Brad Childress/Tavaris Jackson/Jen Sterger/Roger Goodell/Scottie (oh sorry, nix that last one) saga plays out. -How can I not start this post by mentioning Randy Moss? I love when the Pats get national media coverage, but this whole Moss situation is getting a bit over analyzed. If I have to hear Trey Wingo ask Mark “I think I’m the greatest offensive lineman of all time because I blocked for John Elway” Schlereth if the Patriots’ offense is better without Randy Moss one more time, I might lose my mind. We get it guys, you don’t want to talk about Favre any more than we want to hear you talk about it, but that doesn’t mean talk about the Pats for 25 minutes. Let’s be rational for a minute. There is not shot that the loss of arguably the greatest downfield receiver of all time makes your offense better. But, the beauty of having one of the greatest head coaches of all time on the sidelines is that, as an offense, you can adapt. I’m very interested to see how much extra coverage is now shifted towards Wes Welker. What to look for: How the offense evolves and operates in the post-Randy Moss era. 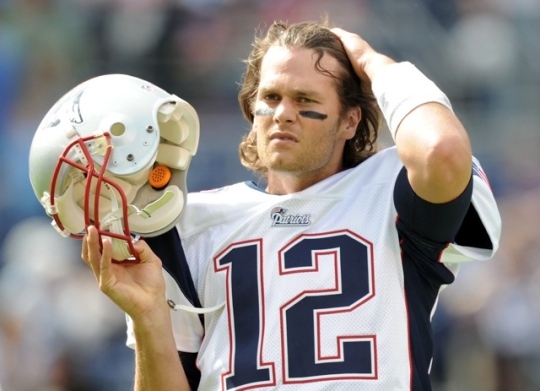 -In last season’s playoff game the Ravens torched the Pats for 234 yards on the ground. New England has no shot to even c ompete in this game if they give up over 230 yards on the ground again. But, I’m not as worried about the run game as I am about their passing attack. I think that coach Belichick still has a bad taste in his mouth about that playoff game last season, so stopping the run looks to be priority number one. The real question is who is going to stop Anquan Boldin, T.J. Houshmandzadeh, and Derrick Mason? As I’ve stated many, many times, I love what McCourty brings to the table. The kid is big and physical in both the pass and run game, and he can run with the best of them. But, as physical as McCourty is, he is no match for Boldin. Boldin is the most physical receiver in the game, by far. What to look for: How the young secondary of the Patriots matches up against the physical passing attack of the Ravens. -Two weeks ago against the Dolphins, the Patriots’ offensive line showed their first signs of pass protection issues. The Dolphins racked up three sacks on Brady. The same Dolphins team that is tied for 18th in the league with only 9 sacks so far on the season. If there is one thing that we can all be certain of come Sunday is that the Ravens are going to bring pressure, and lots of it. Whether it is Terrell Suggs, Ray Lewis, a cornerback, safety, who knows maybe even Harbaugh will try to get in on the action, they are going to be blitzing like crazy. I’ve been notoriously tough on Matt Light. This is Light’s week to shine. It’s not a stereotypical matchup with a guy like Dwight Freeney, where he puts his hand in the dirt and you know he is coming every play. Light (and Vollmer on the other side) is going to have to adjust on the fly. Guys will be showing the blitz and then dropping back. They will be playing that crazy defense where everyone just walks around the line prior to the snap, when it is then determined who will blitz. It’s going to be crucial for the Patriots’ success for the offensive line to play well. What to look for: How the Patriots offensive line withstands the pressure that the Ravens’ defense will bring against the pass. -My two favorite players in the NFL are Ray Lewis and Patrick Willis, hands down. I’m a middle linebacker at heart. I’ve played the position, I’ve studied the position, I respect the position, and I love the position. Lewis and Willis are two of the fiercest competitors and meanest guys in the league. Those two will not hesitate to send a receiver or running back into the hospital for a few nights with a bone crushing hit. What often gets over looked with those two, especially Ray Lewis, is how intelligent they are on the field. Watching Ray Lewis and Peyton Manning go shot for shot switching offensive plays and defensive coverages is a highlight for me every season. The same holds true when the Ravens and Patriots face off. Tom Brady calls out the “mike” (strong side linebacker) on every single play. Expect Ray Lewis to counter those calls with blitz adjustments and switching coverage schemes. What to look for: The pre-play mental battle between Tom Brady and Ray Lewis, and who ultimately gets the edge. Devastation has run rampant throughout New England. Randy Moss is gone and not coming back. I know it hurts to hear, but it’s time to face reality. Bill Belichick, the coach that we have all come to know and love, is a realist. He realized that after this season Randy Moss would no longer be a member of the New England Patriots. At the conclusion of the 2010 season, Belichick would say goodbye to one of the greatest receivers in NFL history and receive nothing in return for him. So, similar to the scenario that unfolded with Richard Seymour a year ago, coach Belichick decided to pull the trigger and get value for an expiring asset. Don’t get me wrong, the Patriots are certainly worse off without Moss this season. But, that is when you have to broaden your horizons and take a look at the big picture. The constant need for positive results sometimes puts blinders on us as fans. This isn’t the same team with the same philosophy as the Pats of the early 2000’s. This isn’t even the same team with the same philosophy as the 2007 Patriots. The 2010 Patriots are a transition team. The average age of the Pats starting defense is 26. Offensively, Tom Brady now has two rookie tight ends at his disposal. Brandon Tate is emerging as a consistent option out wide. BenJarvus Green-Ellis is putting a strangle hold on the starting running back spot. The offensive line is the oldest position group on the team, but they are still one of the best units in the league. This team is transitioning to become more athletic on defense, while more stout and conservative on offense. The offense’s transition doesn’t mean that no shot will be taken down the field, but that the percentage of underneath routes for Welker, Hernandez, and Gronkowski will increase, while the number of shots down the field for what formerly was Moss’ spot will diminish slightly. There was some heat surrounding coach Belichick and his draft struggles from 2006-2008. I completely agree with questioning some decision in that time period. But, taking a look at the results from the 2009 and 2010 NFL draft, you have to be much more optimistic about draft day decisions for the Patriots. The 2009 draft brought the Patriots Pat Chung, Ron Brace, Darius Butler, Sebastian Vollmer, Brandon Tate, Jake Ingram, Myron Pryor, and Julian Edelman, among others. Those players are all key contributors to the 2010 Patriots. The 2010 draft brought the Pats Devin McCourty, Rob Gronkowski, Jermaine Cunningham, Brandon Spikes, Aaron Hernandez, and Zoltan Mesko, among others. These rookies have all made an impact on the team this season, some even have (uncharacteristic in Belichick’s system) starting spots, in McCourty, Cunningham, and Spikes. When you try and take an unattached, rational look at the deal, you have to be excited about what the future holds. Eight picks in the first four rounds gives the Pats an opportunity to make huge additions to their team for 2011. Compile those selections with the last two draft classes and the Patriots now look like one of the best young teams in the league, but a team still led by future Hall of Fame quarterback Tom Brady. I’m excited about what the remainder of the 2010 season has in store, as well as the 2011 draft and beyond. FYI: There is no shot that Vincent Jackson will be a Patriot. It just doesn’t make any sense.